Save the date of November 6, 2017 for the FCRCC AGM. Time and place to be updated soon. False Creek Racing Canoe Club – Let’s Sink the Dock!! Thank you for the great turnout!!!! Calling all FCRCC members!! The FCRCC would like to take a photo of its members assembled on the dock and ramp to demonstrate how the current dock in its current state is inadequate to serve our members. Please come to the Alder Bay dock on Wednesday, September 27th at 6:30 pm for a photo session. Let’s gather to “Sink the Dock” It’s time to start fighting for a new dock. See you on Wednesday, September 27, 2017 at 6:30 pm!!! False Creek Racing Canoe Club – Let’s Sink the Dock!! Calling all FCRCC members!! The FCRCC would like to take a photo of its members assembled on the dock and ramp to demonstrate how the current dock in its current state is inadequate to serve our members. Please come to the Alder Bay dock on Wednesday, September 27th at 6:30 pm for a photo session. Let’s gather to “Sink the Dock” It’s time to start fighting for a new dock. See you on Wednesday, September 27, 2017 at 6:30 pm!!! 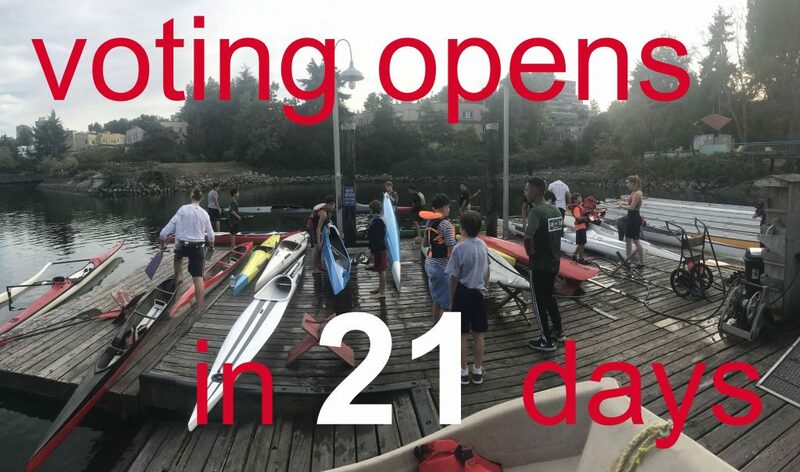 The membership year for the False Creek Racing Canoe Club runs from November 1, 2017 to October 31, 2018. This year, the FCRCC Annual General Meeting (AGM) will be held the first week of November, the exact date will be identified by September 28, 2018. At the AGM, the fees for the upcoming year, among other issues, are voted on. For those of you with boat storage, the fees for boat storage for the year running November 1, 2017 to October 31, 2018 will be $180.00. We will notify members when the registration for 2017/2018 is open.